The year is 1946. The Second World War has finally ended and you’ve just arrived at Chicago’s Union Station in an elegant Pullman car. After hours of riding the rails, you’re hungry and looking to experience the very best that the Windy City has to offer. So where do you go? The answer is simple: you head to the city’s Gold Coast; more specifically, the Ambassador East Hotel where The Pump Room, Chicago’s finest restaurant is located. You walk into this elegant establishment and the first thing you notice are the crystal chandeliers, the blue sapphire walls, and a sunken carpeted dining room filled with white leather booths. As you sit down in one of these booths soaking in all of this décor, a busboy dressed in a white turban begins pouring your cup of coffee. Then, at the table next to you, king crab is about to be served—on flaming swords!! Waiting for your blini and caviar, everyone suddenly turns their heads to see who has just arrived. It’s Humphrey Bogart and Lauren Bacall, recently married and about to sit down at the famous Booth One! 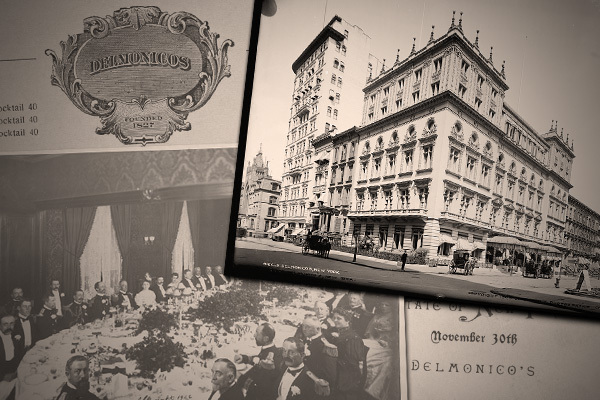 Named after an English restaurant sharing the same name, it first opened in 1938 by restaurateur Ernie Byfield in the Ambassador East Hotel (now the Ambassador Chicago hotel). Described not as a place, but as an experience, it has been referenced in Frank Sinatra’s “Chicago (That Toddlin’ Town)” and featured in Alfred Hitchcock’s 1959 film North by Northwest, easily becoming one of the most famous restaurants of the 1940s and 1950s. Offering an irresistible blend of both style and substance, its runaway success along with the repeal of Prohibition basically saved the Ambassador East, built in 1926, from the economic hardships of the Great Depression. 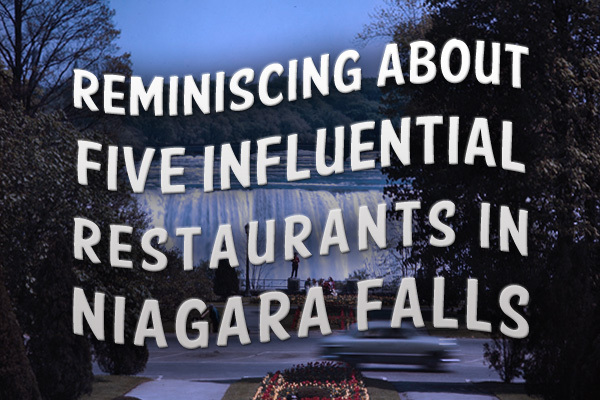 A key to the restaurant’s success was its location combined with unprecedented star power. Chicago, being the country’s biggest rail transit hub, was a frequent stop for passenger cars traveling between New York and Los Angeles. With many movie stars experiencing an up to three-hour layover, Byfield capitalized on this fact by offering limo service from Union Station to The Pump Room for any celebrity looking to dine out. 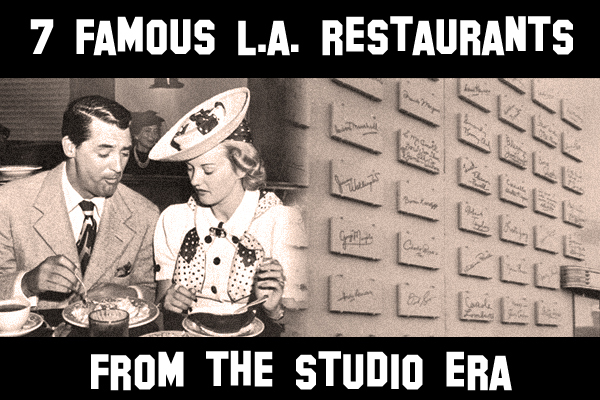 As a result, the restaurant became a popular spot for a who’s who of Studio Era Hollywood: Jack Benny, Joan Crawford, John Barrymore, Judy Garland and many other A-listers all dined at The Pump Room. Another benefit offered to all these celebs was being seated at Booth One, the best booth in the house equipped with a mounted rotary phone and a perfect view. 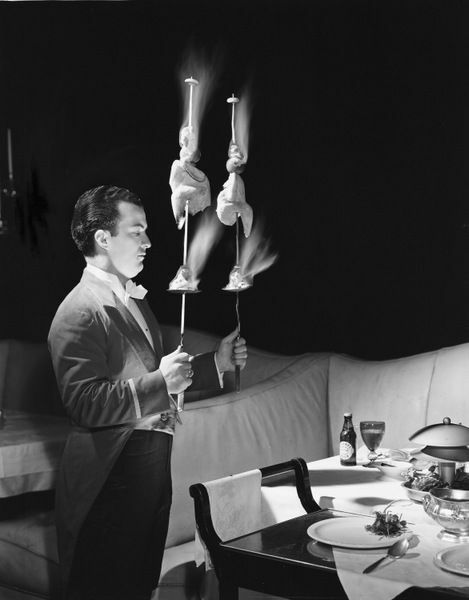 During the heyday of continental style fine dining, where dishes were served from rolling carts and/or prepared tableside, The Pump Room, with its lavish décor and flaming swords became so famous that it was chosen by American Airlines to create the first menu for dinner service from Chicago to London. Bizzarri, Amy. Discovering Vintage Chicago: A Guide to The City’s Timeless Shops, Bars, Delis & More. Lanahm: Rowman & Littlefield, 2015. Block, Daniel R. & Rosing, Howard B. Chicago: A Food Biography. Lanahm: Rowman & Littlefield, 2015. Corcoran, Michael & Bernstein, Arnie. Hollywood on Lake Michigan: 100+ Years of Chicago and the Movies. Chicago: Chicago Review Press, 2013. Kupcinet, Irv. Kup’s Chicago: A Many-Facted and Affectionate Portrait of Chicago. New Orleans: Garrett County Press, 2012. Levy, Shawn. Paul Newman: A Life. Hachette: Aurum Press, 2010. 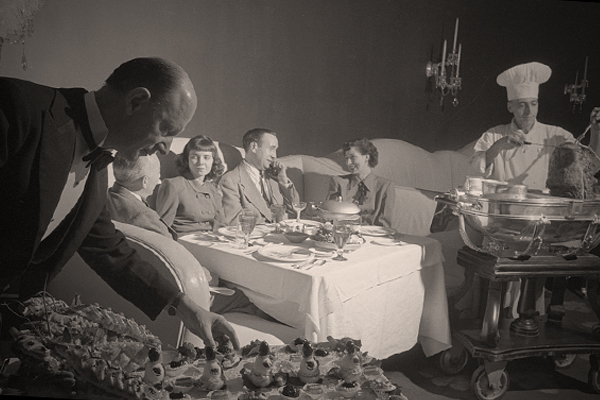 Did you ever dine at The Pump Room?